Ten years after 'Mamma Mia!' made a statement all around the world, we come back to the Greek island of Kalokairi to sing along to the best songs of ABBA with the new film 'Mamma Mia! Here We Go Again'. This time we'll go back in time to discover the origins of the story that stole our hearts, the memories of that summer when Donna Sheridan (Meryl Streep), Harry Bright (Colin Firth), Sam Carmichael (Pierce Brosnan) and Bill Austin (Stellan Skarsgård) met before the events that took place on the first film, when Donna's daughter ask her who is her real father? How did they meet? How did they fall in love? We will also continue the story we left behind at the end of 'Mamma Mia! ', with that musical ending that trapped us forever. 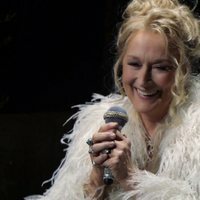 Cast Mamma Mia: Here We Go Again! Cher ('Mamma Mia! Here We Go Again'): "He ran through us. And we went up to the girl"
Reviews Mamma Mia: Here We Go Again! 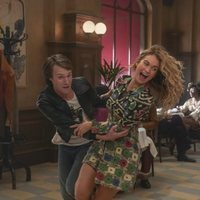 Write your own 'Mamma Mia: Here We Go Again!' review. Trivia Mamma Mia: Here We Go Again! ABBA member, Björn Ulvaeus, makes a cameo appearance in the number "When I Kissed The Teacher". Cher was originally offered the role of Tanya in the first film which she turned down. She appears in this movie but in a different role. After its premiere in the USA there was a controversy over a dog that was allegedly mistreated.